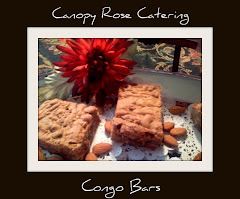 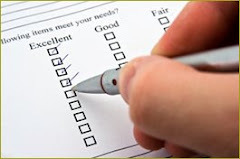 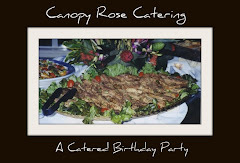 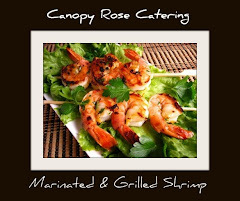 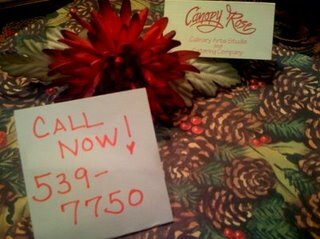 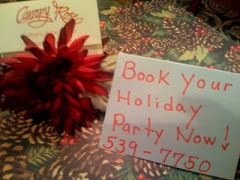 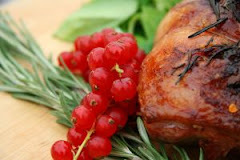 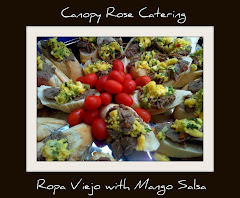 In late February, Canopy Rose Catering was busy, busy, busy cooking up lots of deliciousness for our wonderful clients. 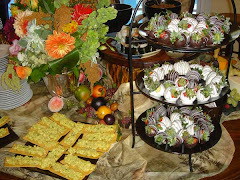 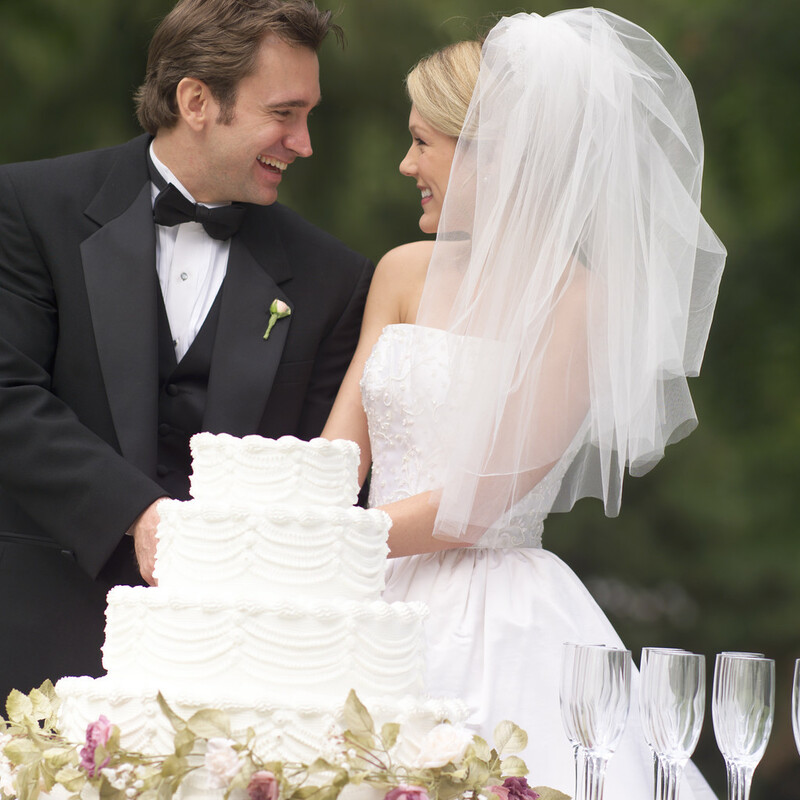 One of the events we were excited to cater, well actually not just one, but rather a sweet string of events took place at the Florida Supreme Court building in Tallahassee. 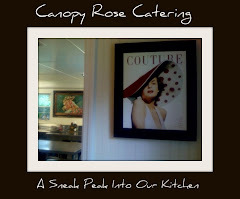 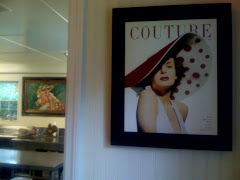 Every day for four consecutive days, we whipped up a fabulous luncheon. 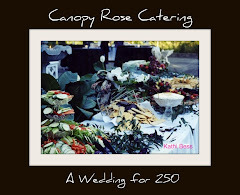 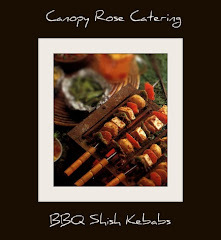 Our client, the Executive Director of a Florida association, was on a rather restrictive budget, but that didn't stop Canopy Rose Catering from getting super creative with the menu. 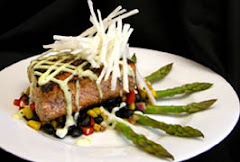 It was our intention to not only provide our delicious trademark taste popping fare, but to provide a well balanced menu, too. 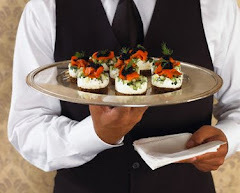 It's true, our Chief Yum Officer was feeling a bit benevolent, and cut an extraordinary deal. 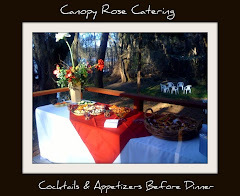 After all, the catering was for a good cause and we got to do something that we love! 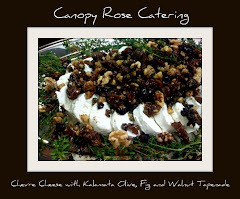 Turns out we were so busy in the kitchen cooking, we almost forgot to take pictures. 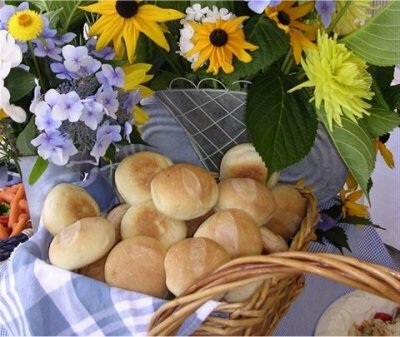 On the 4th day, it dawned on us that no pictures had been snapped. 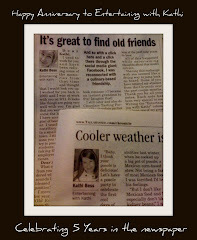 We ran and got the camera and at least snapped one for posterity. 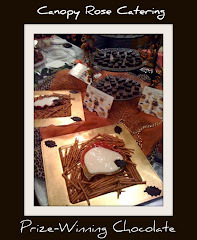 Chief Yum Officer, Kathi Bess welcomes guests to the table. 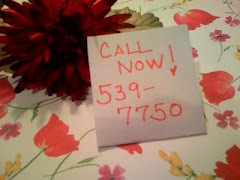 Kathi set the table with red heart plates. 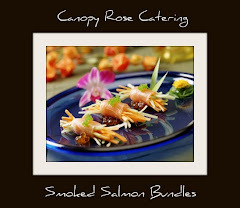 Smoked Salmon Mousse shaped in a heart from Canopy Rose Catering makes a memorable cocktail appetizer. 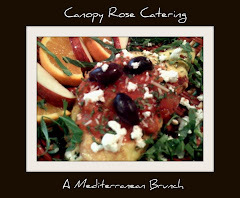 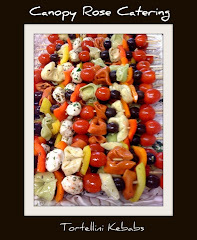 A simple Antipasto Plate from Canopy Rose Catering greets guests on their arrival. 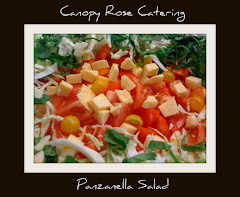 A delicious salad from the kitchen of Canopy Rose Catering. 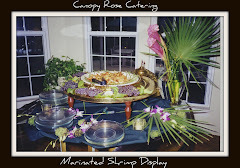 Linguini with Shrimp, Kalamata Olives, Garbanzo Beans, Garlic, Herbs and Olive Oil by Canopy Rose Catering makes a flavorful main course for this special dinner with friends.